Decadent. That’s what The Man calls this recipe. I call it Chocolate Eclair Trifle. But unlike the French eclair made from a creme-filled choux pastry, this recipe swaps out some other ingredients in a combination of layers that will knock your socks off. 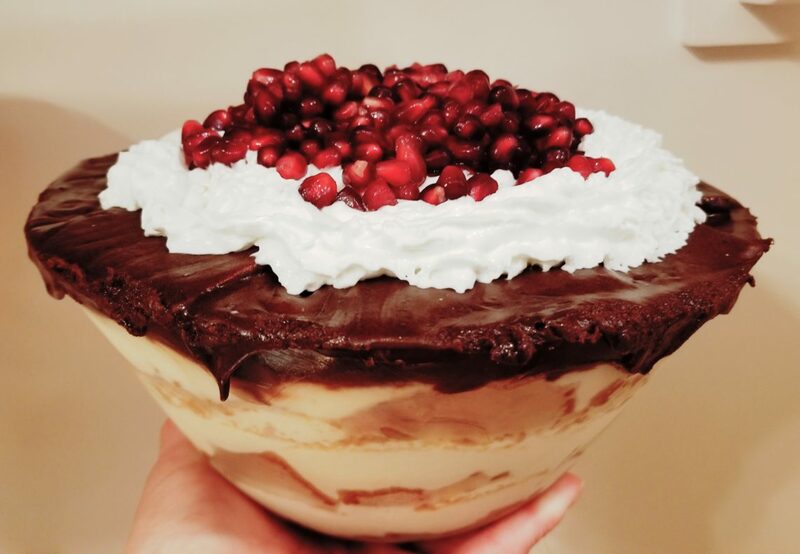 I like using a trifle dish to display the dessert’s glorious layers. After all, seeing layer upon layer of goodness is some of the allure. The final layer is carte blanche. 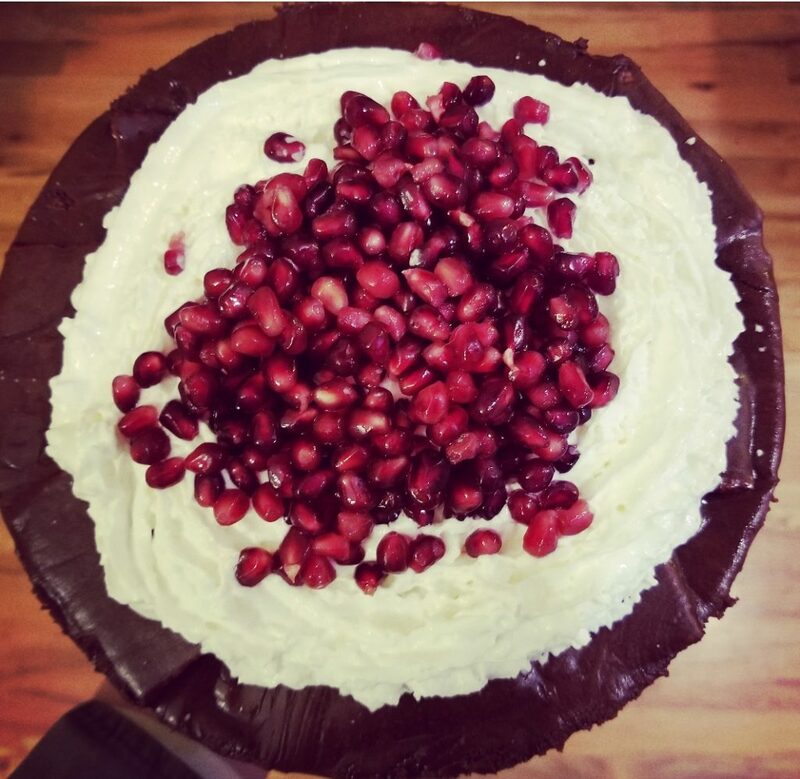 For this year’s holiday party I mounded on pomegranate arils because they are so damn pretty! Sometimes I throw on some sliced strawberries or toasted nuts (most any nut will work) or some chocolate curls or shavings. Or you may opt for no additional topping, which is also an excellent choice. The possibilities are infinite. 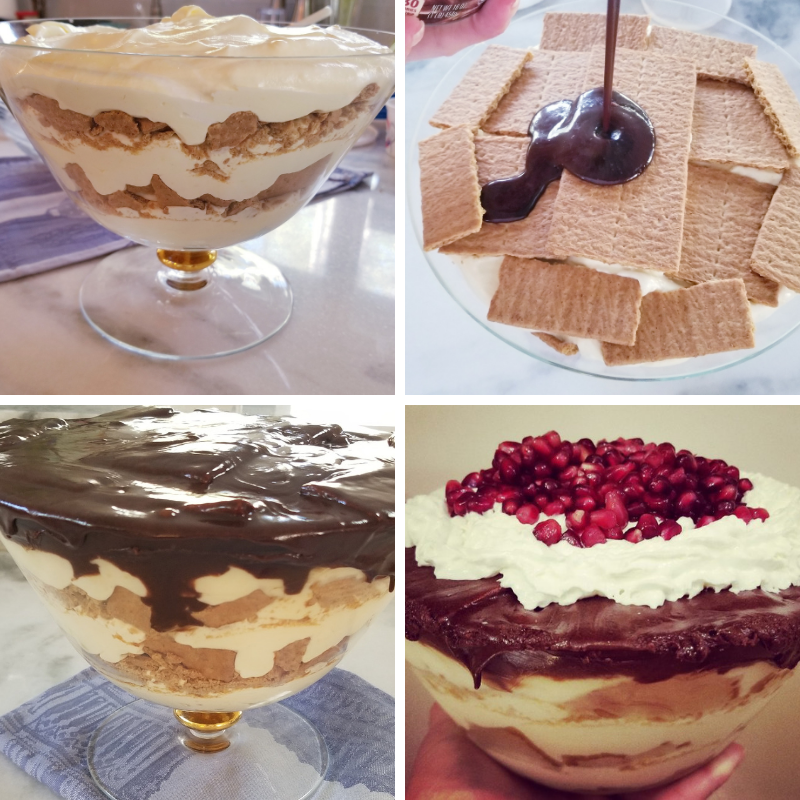 Regardless if you embellish the dessert or let it remain naked, I suggest you use unbroken graham crackers (not crumbles) for the top layer so the frosting will be smooth. Truth be told, even if your top layer is a bit messy, your guests will still regard you as a goddess when you feed them this dish. Just smile in return because they are right. You know what complements this dessert beautifully? Correct! Bubbles. 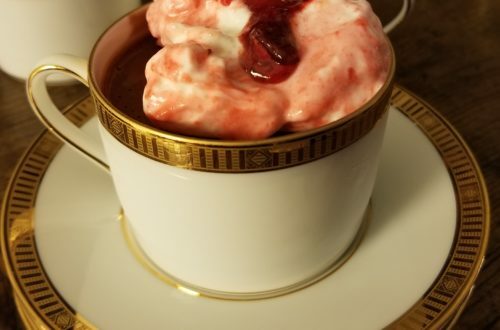 I know you and your guests will go mad over this dessert. Tag #nakedepicurean on Instagram so we can celebrate together! In a large bowl, whisk both boxes of dry pudding into milk until well combined. Fold in the sour cream, then the Cool Whip; set aside. 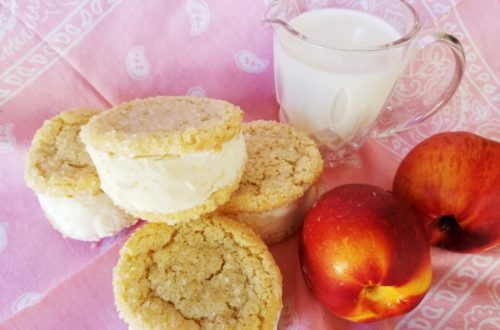 Cover the bottom of a 9×13-inch baking pan (or trifle dish) with a single layer of graham crackers. Pour half of the pudding mixture over the top and spread out evenly. Cover completely with another layer of graham crackers, followed by the remaining pudding mixture and then a final layer of graham crackers. You will have to break some of the graham crackers into smaller pieces to fully cover the pudding. Remove plastic lid and foil from frosting. Microwave for 1 minute. Pour the hot chocolate icing over the dessert; spread evenly with a spatula. Set in the refrigerator and chill overnight. 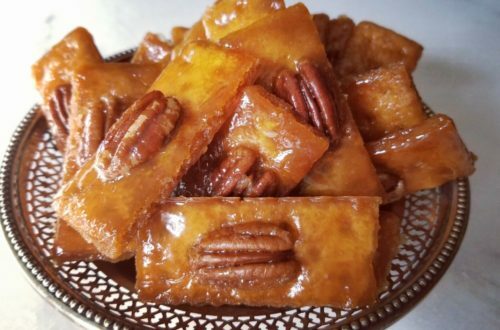 Note: Once the icing on top of the dessert has cooled, stand some toothpicks upright through the crackers and cover plastic wrap. Before serving, sprinkle with white or dark chocolate curls, nuts, and/or fruit.